You are most welcome to come on board from 16:00 onwards. At about 19:00 we start the engines and head for Düsseldorf. After dinner you can become acquainted with your fellow passengers in the lounge. The musician who will be on board for the whole journey will give the evenings an extra enjoyable touch. Early in the afternoon we reach Cologne. 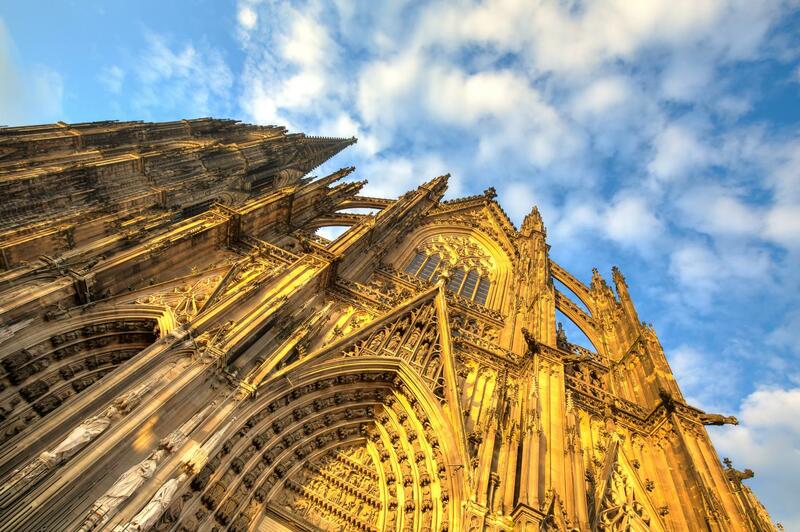 The Gothic cathedral is the main church of the Archdiocese of Cologne and is also one of the largest cathedrals in Europe. 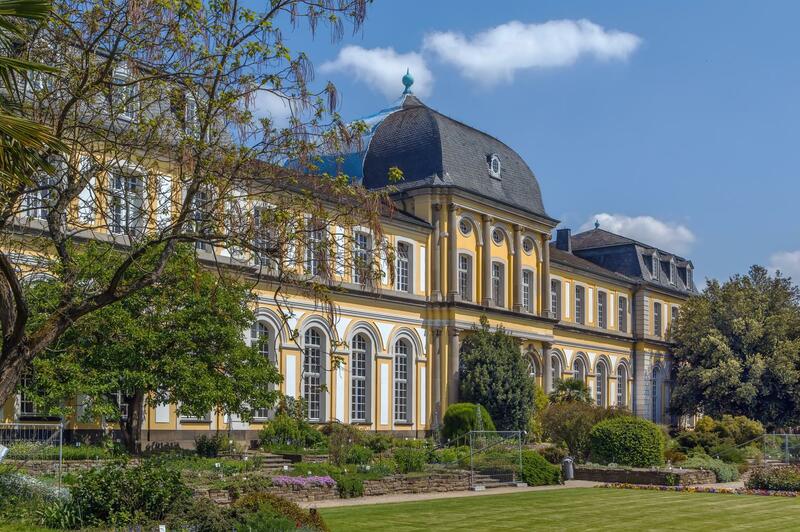 This afternoon we offer an excursion(*) to an impressive castle near Cologne for those who cannot get enough of all the castles and fortresses. 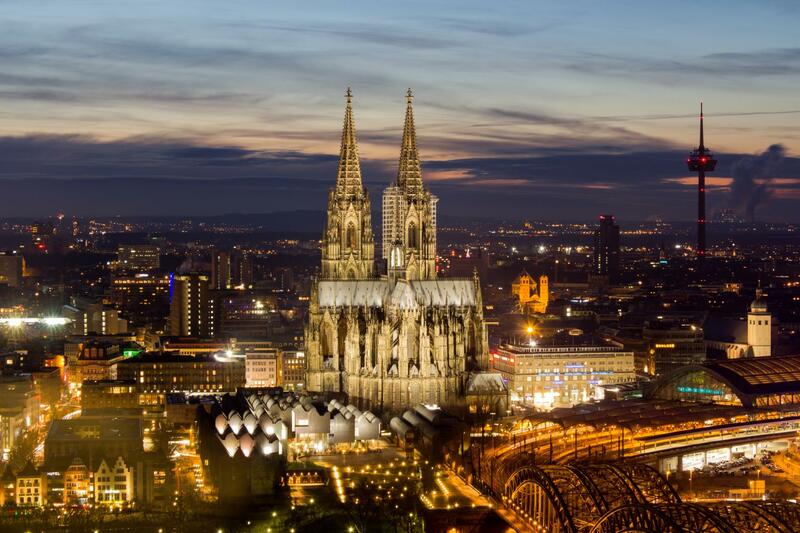 During the evening we will leave ‘Cologne by Night’ whilst enjoying a glass of Sekt on the Sun deck and continue our journey towards Bonn. We will spend the morning in Bonn, the former capital of Germany. 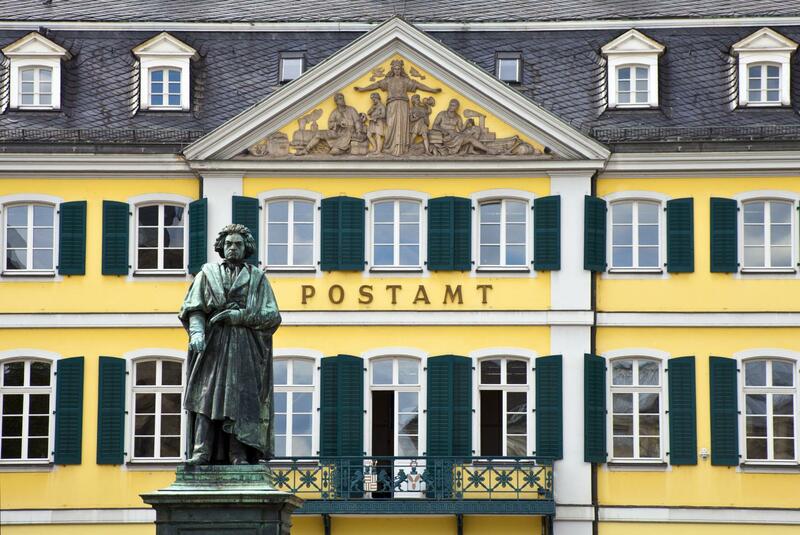 A walk through the city centre will take you past such places as the house where Ludwig van Beethoven was born. 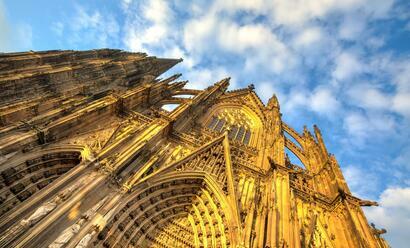 A city walking tour(*) is the perfect way to discover all this city had to offer. Around midday we will leave Bonn and sail to Andernach. A number of medieval buildings have been preserved in the attractive city centre, such as the ‘Stadtburg’, a section of the city wall including the Koblenz Gate, the Rhine Gate, and the Round Tower. 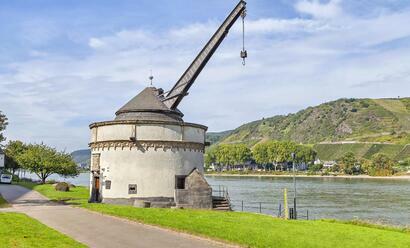 At Koblenz we leave the Rhine and enter the beautiful Moselle valley. We enjoy a day of sailing between the beautiful, steep, vine-covered mountain slopes. 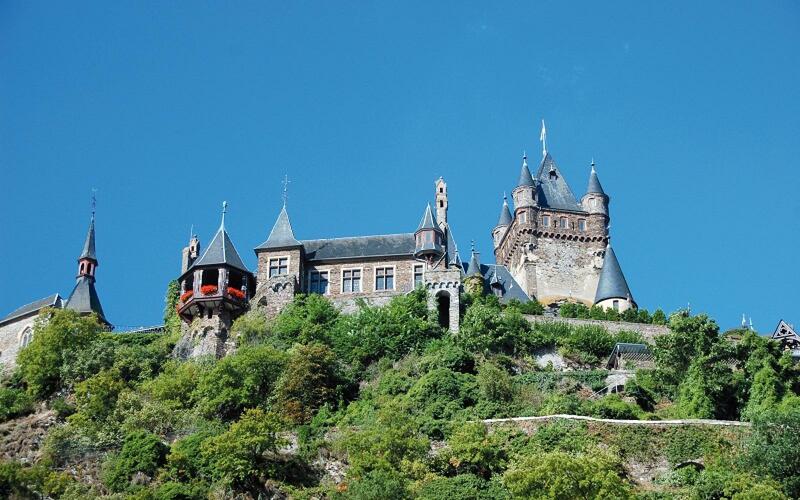 Cochem is a typical Moselle town and has a beautiful old inner city with its timbered houses. The romantic ‘Reichsburg’ stands out high above the city. The little Moselle train will be waiting by the ship for a short tour to the city centre(*). The many souvenir shops in the narrow streets of the city centre alternate with cosy ‘Weinstubes’. You will have the afternoon and evening to spend in this location. Our destination today, Boppard, is located in the middle of a large bend in the Rhine, also called the ‘Bopparder Hamm’. 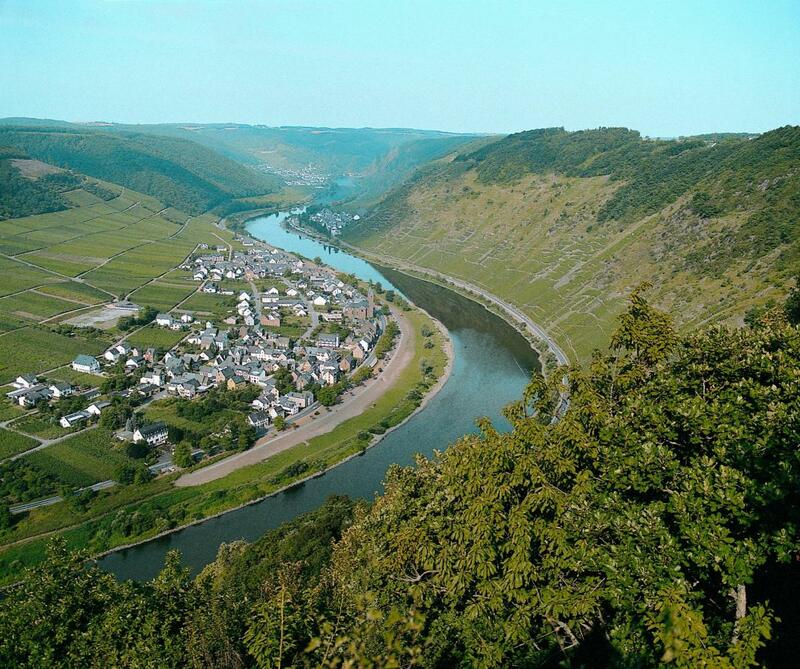 It is one of the largest wine-growing regions along the Rhine. 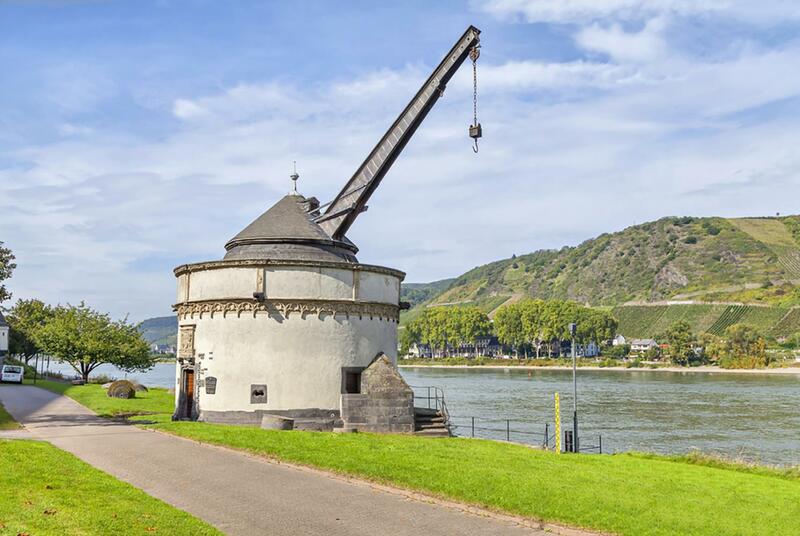 The long Rhine promenade will take you to the centre of this tourist town. It is also possible to take the funicular railway to the outlook on the hilltop. Don’t forget to bring your camera for you will certainly want to immortalise the magnificent panorama of the Vierseenblick (four lakes view). On our return journey in the direction of D:üsseldorf you will once more be able to enjoy the magnificent landscape with its fortresses and castles along the shore. You will have all afternoon to discover beautiful Düsseldorf on your own, or you can join us for a tour through the city(*). After the Farewell Dinner we will sail downstream to Emmerich. Unfortunately, the last day has already begun. To conclude, we have prepared a magnificent Champagne Brunch for you. As soon as we arrive in Arnhem we will say goodbye to you. We hope to see you again and wish you a safe journey home.